Here’s a hard-to-find vintage American double in fantastic original condition. It’s a 20 gauge L.C. Smith Trap Grade, and it’s up for auction now at Gunrunnerauctions.com. If you collect Elsies, bid now. I doubt you’ll see a better one of these any time soon. L.C. 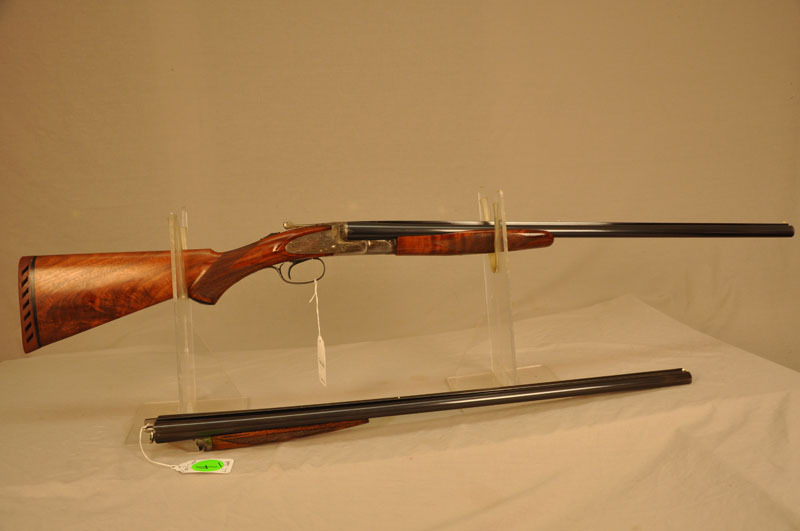 Smith Trap Grade, 20 ga. side by side shotgun 26″ & 28″ bbls: Serial #8013, mfg. 1916 by Hunter Arms Co., Fulton, NY. Excellent condition. 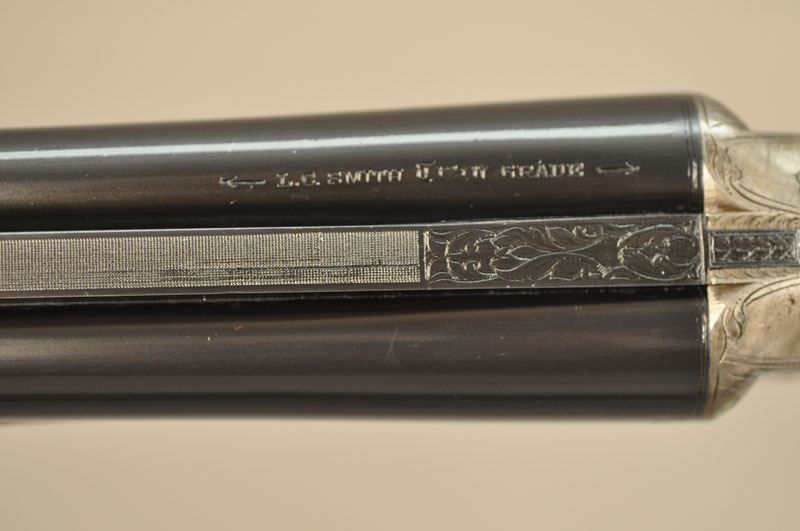 The rare “Trap Grade” in 20 ga. AND two-barrel set – all matching serial numbers on all iron. 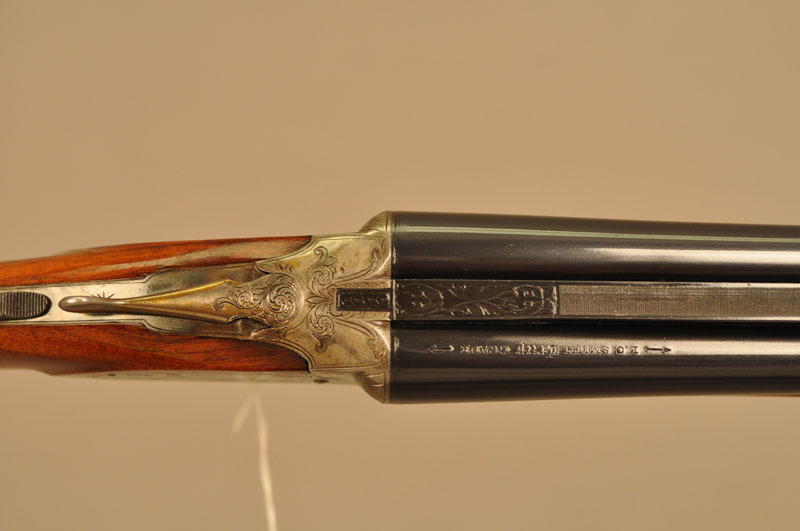 Grade E with scroll engraved receiver – left panel has a trapshooting squad of five men and a trap; right panel has a lone hunter shooting at a flushing bird. Case color is mostly gone on the receiver, but about 15% is in protected areas. Good tight action. Two barrels included: One 26″ barrel with solid rib, two ivory beads, bright bore, beavertail forearm; and one 28″solid rib barrel with two ivory beads, bright bores, splinter forearm. The 26″ barrel has 98% bright blue and the 28″ barrel has 90% blue with some wear near the muzzles. 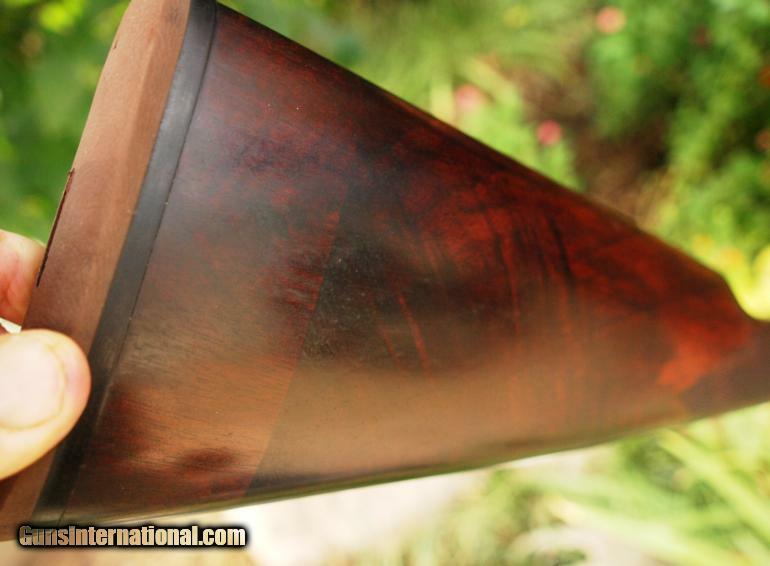 Wood is fancy with excellent dark burl and sharp checkering – appears to be have been refinished when the red Jostam recoil pad was fitted. Hunter One single trigger works well. Ejectors are strong and throw hulls across the room. LOP is 14″ over pad. Both barrels are marked “L.C. 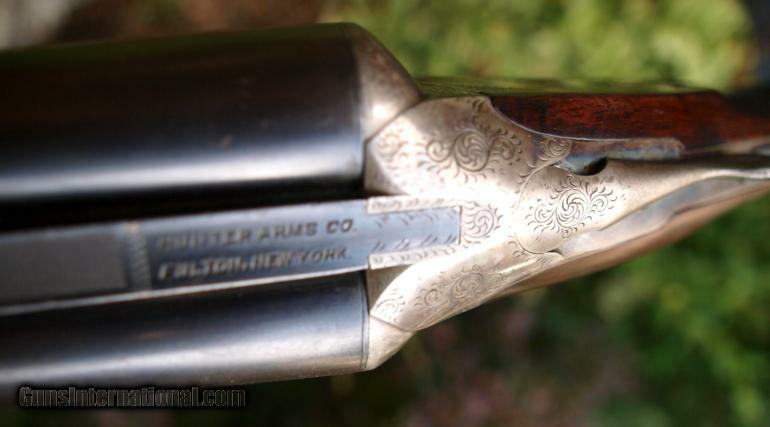 Smith Trap Grade” – 28″ barrel is also marked “Hunter Arms Co. Inc., Fulton, NY, USA” on top. 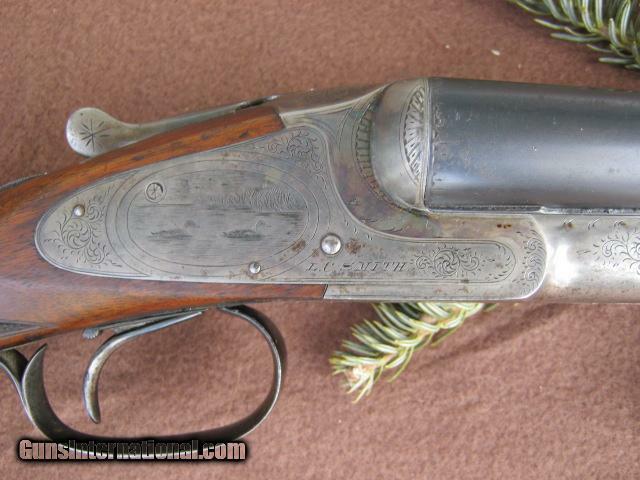 Includes Cody factory letter stating the Grade E and Trap model and noting the 26″ barrel. The shotgun was finished on June 30, 1916. The second barrel was made in the factory, but it is correct to not see that noted in a factory letter. Every gun nut has THE shotgun they’re trying to find. For a friend of mine, it’s 2o gauge Lindner-made Charles Daly with damascus barrels. Another guy I know is searching everywhere for an all original, color-case hardened Belgian-made 20g sidelock with 28″+ tubes. My holy-grail used to be a 16 gauge L.C. 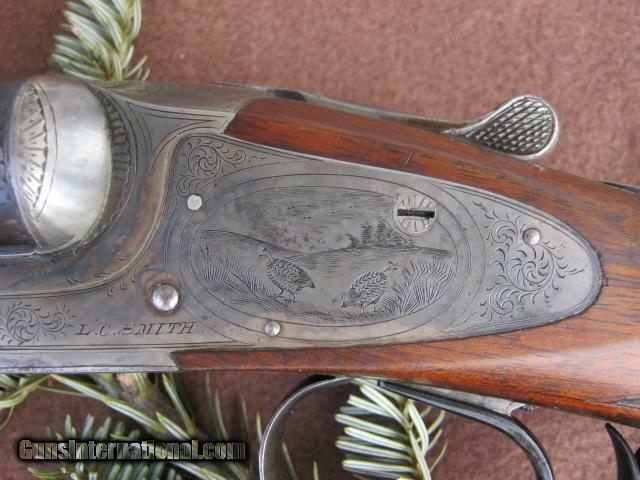 Smith No.2 with a straight grip and double triggers. I spent years trying to track one down. When you look at the gunmaker’s production numbers, it’s easy to see why. According to the L.C. 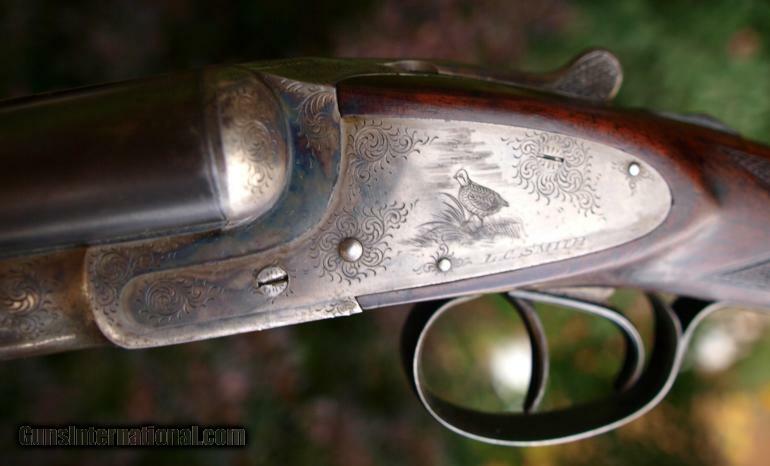 Smith Collector’s Association, the folks in Fulton made just seven-hundred and ninety-three 16-gauge No. 2s. I bet at least 90% of these had pistol grips, and that’s why one with this configuration are easy hard to find (I’ve owned at least 3). But swap in a straight grip, ask for double triggers, and now you’ve got a tough gun to track down. L.C. Smith probably set up fewer than thirty 16g No. 2s like this, and I’ve spent a decade looking for one. L.C. Smith shotguns get bad raps. Cracked stocks – that’s the most common criticism you’ll here about them. Finicky single triggers – that’s the other complaint people bring up all the time. While there’s some truth to these charges, the really only apply the post-1913 LCs. Underrated American Classic – L.C. Smith Field…. Post-1913 L.C. 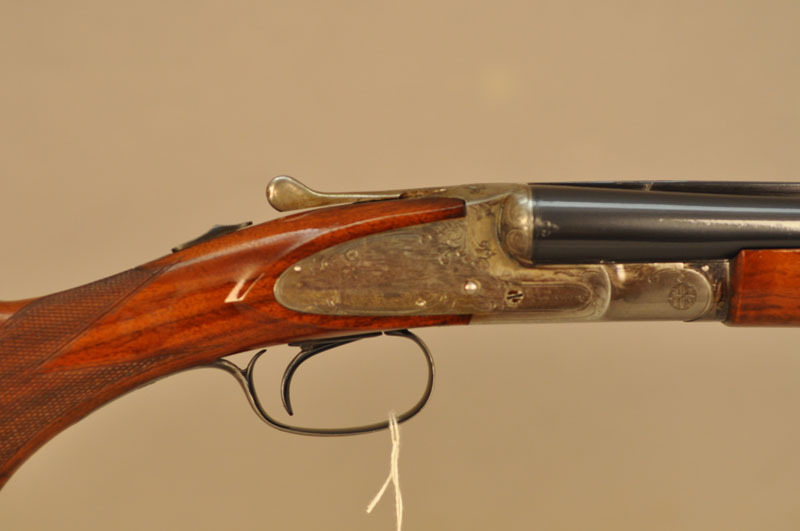 Smiths Field grades are the Rodney Dangerfields of the double barrel shotgun world. They get no respect. The disdain many people have for these guns isn’t fair, though. Many of them are nice hunting guns, and even though some of them have problems with cracking behind the lockplates, many of them are fine. If you’re looking for a quality side-by-side to take out hunting, they can be a great choice. Case in point: This 16g L.C. Smith Field. 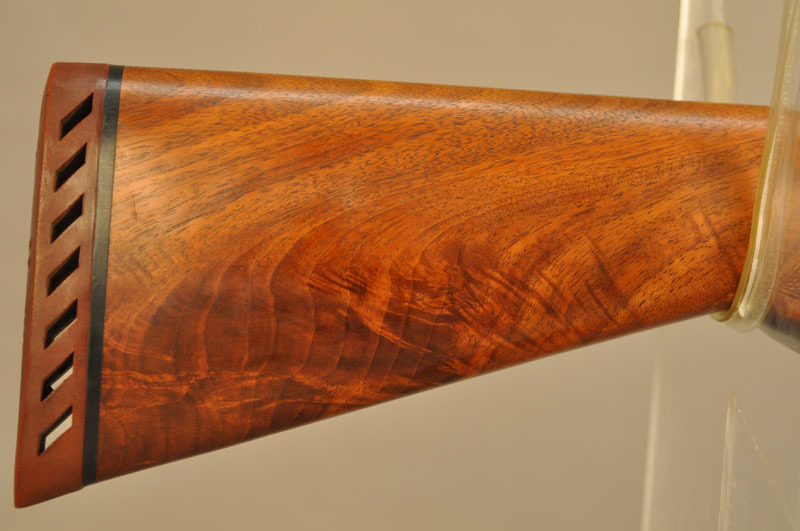 It’s a Featherweight model with 28″ barrels and 2 5/8″ of drop at the heel. 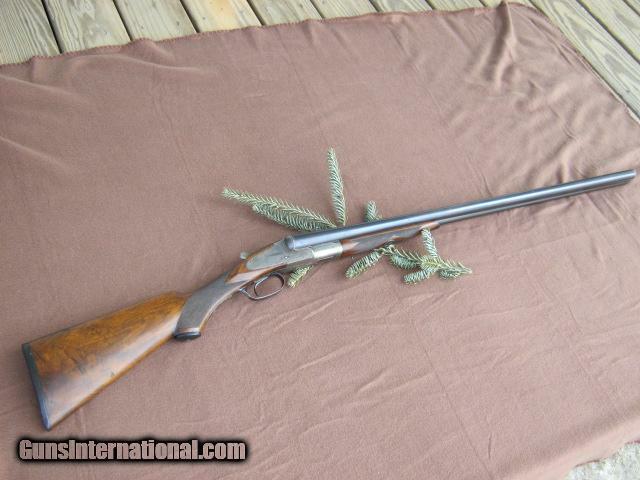 Coming it as just over 6 1/2 lbs., it’s a fantastic grouse gun.